Our company holds vast experience in this domain and is involved in offering Single Seater Sofa. Our company Sai Furniture & Interiors has successfully created a market by providing excellent quality products. Our company was established in the year 2013 as a Sole Proprietorship based firm and operate all our business activities from our headquarters located at Chennai, Tamil Nadu (India). 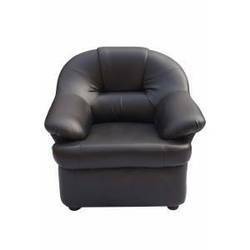 We are instrumental in manufacturing and supplying a wide range of products that includes Office Chair, Computer Chair, Visitor Chair, Sofa Set, Modular Sofa, Stainless Steel Chair and many more. As per the varied necessities of our customers, we are providing a broad collection of superior quality products that are manufactured by our skillful experts.